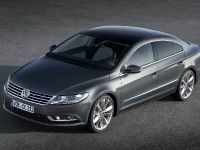 Volkswagen begins the year with the release of the all-new 2012 Volkswagen Passat CC, which now delivers more luxury, style and new technologies. 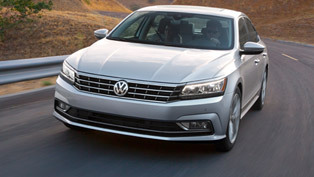 The model of the Volkswagen has made its first appearance last November at the Los Angeles Auto Show. 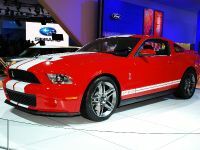 However, until now it wasn't presented to the European Market. 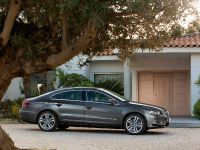 The launch of the avant-garde four-door begins with the international driving presentation in Southern France. 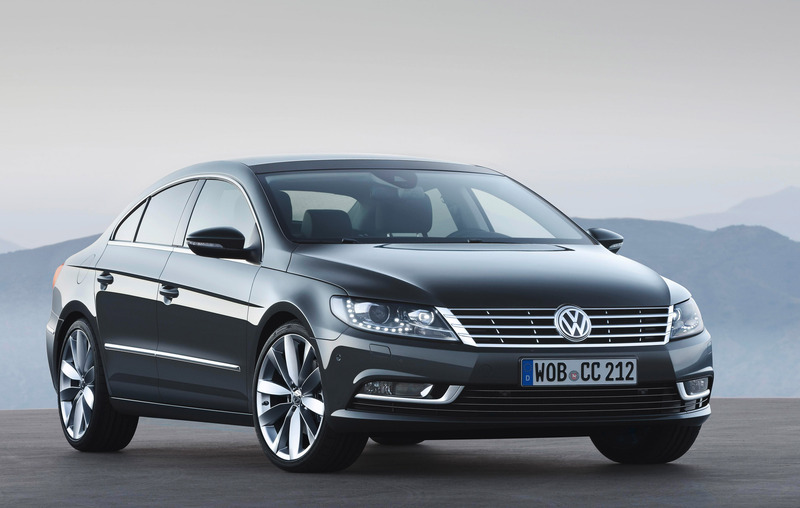 And if you wonder when exactly the car will be possible for purchase - the new Volkswagen CC will be in dealerships at the beginning of February. 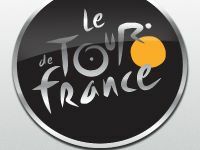 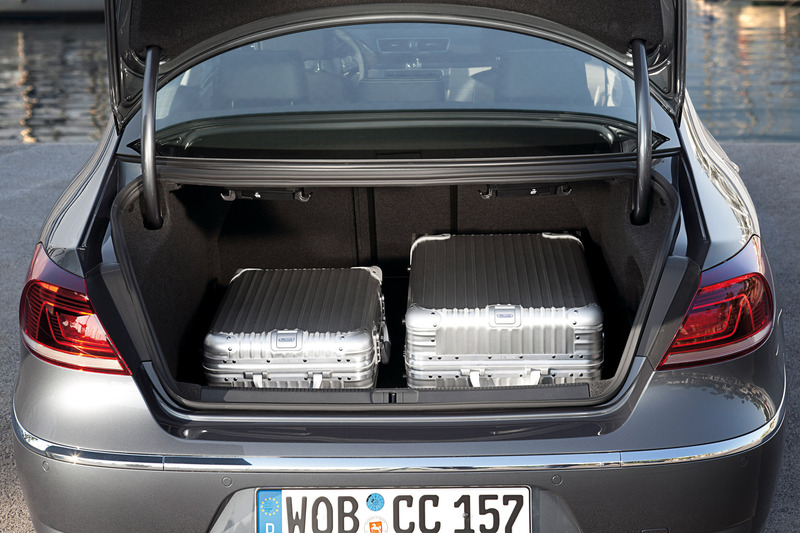 Firstly it will be available in Germany and Luxembourg, and then across Europe at the end of February. 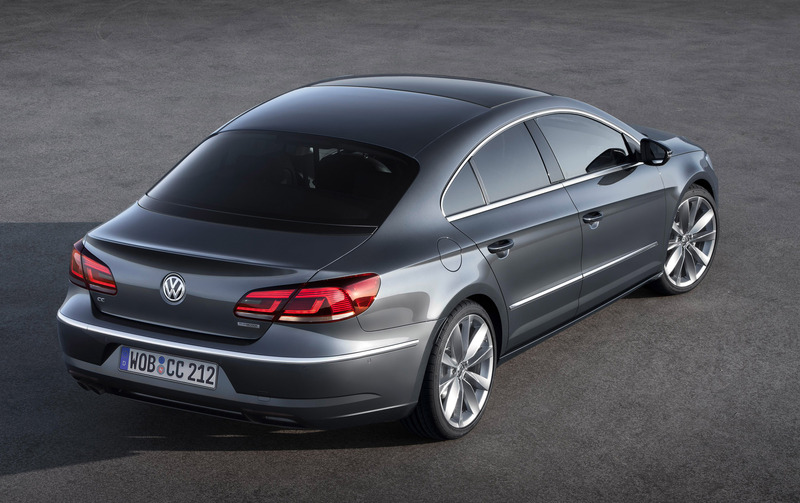 Additionally in the spring of 2012, this Volkswagen will then launch globally – included are America, Russia and Asia. 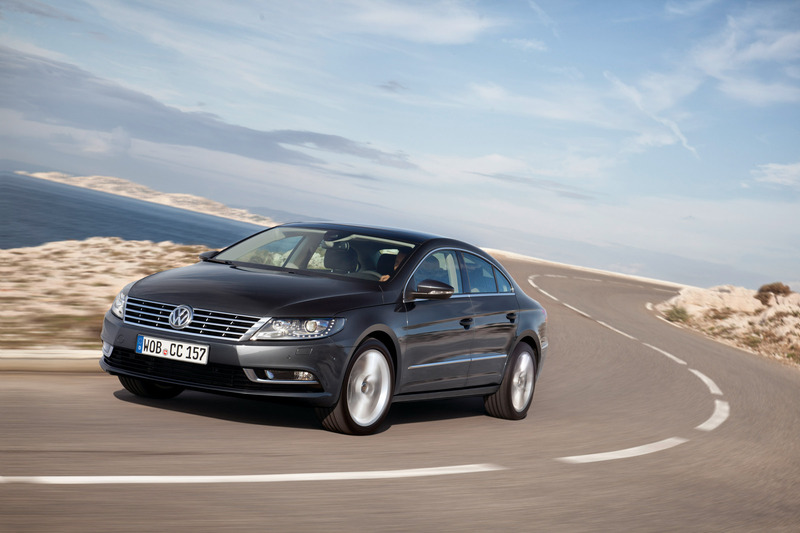 To go back in time, the Volkswagen CC made its debut in 2008. 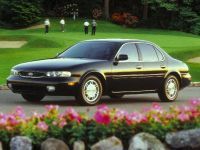 Then it won the audience, firstly because it was the world's first four-door coupe in the 30,000 to 40,000 dollar and euro class. 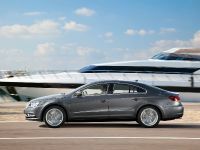 For this reason the segment quickly grew: up to date, nearly 320,000 people around the world have chosen the saloon with the stylish lines of a sports car. 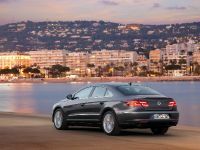 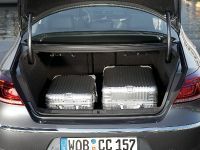 Private customers enjoy the alternative to the classic saloon as much as business customers who drive a lot of miles who made the Volkswagen CC the new ‘business class' soon after it launched. 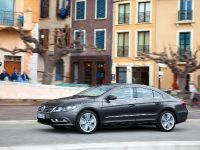 A year later the CC also won some important awards: the ‘iF Product Design Award' (iF Industrie Forum Hannover), the ‘red dot Design Award' (Design Centre of Nordrhein Westphalia, Essen) and the Australian ‘Design Award' (Australian International Design Awards, Sydney). 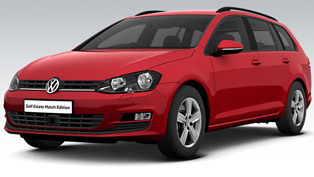 Obviously the design of the model and the style it delivers made an excellent impression on the experts. 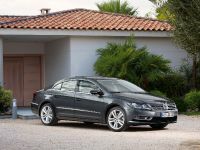 The new 2012 CC received a completely redesigned front and rear sections, in order to give them more precision and adapt them to Volkswagen ‘design DNA'. 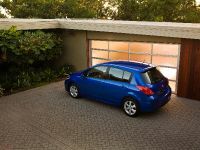 Hence all this results in even more sophisticated and dynamic overall appearance of the vehicle. 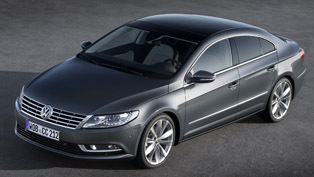 Moreover range of standard equipment is now extended and includes features such as bi-xenon headlights with static cornering lights; a new LED rear lighting design; fatigue detection; RCD 310 radio-CD system; stainless steel door sill plates and front comfort head restraints with additional front-rear adjustment. 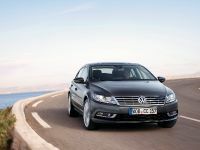 The multifunction leather-wrapped steering wheel comes also as a standard but only for German customers. 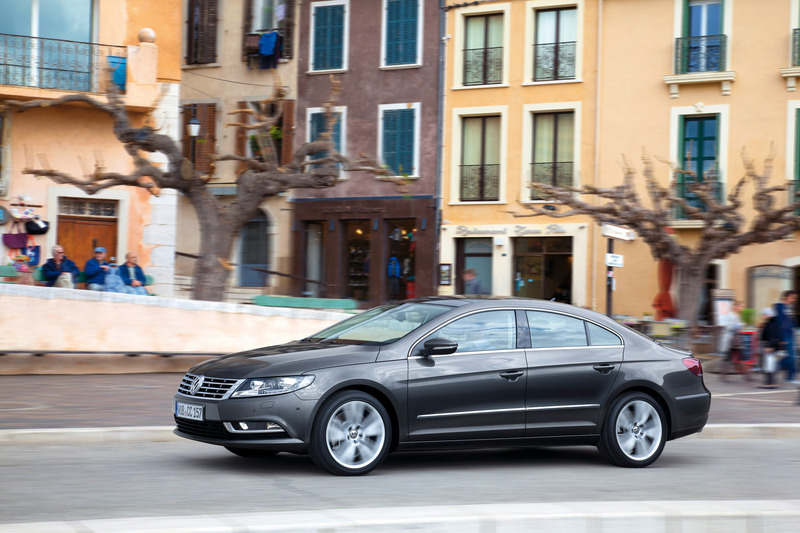 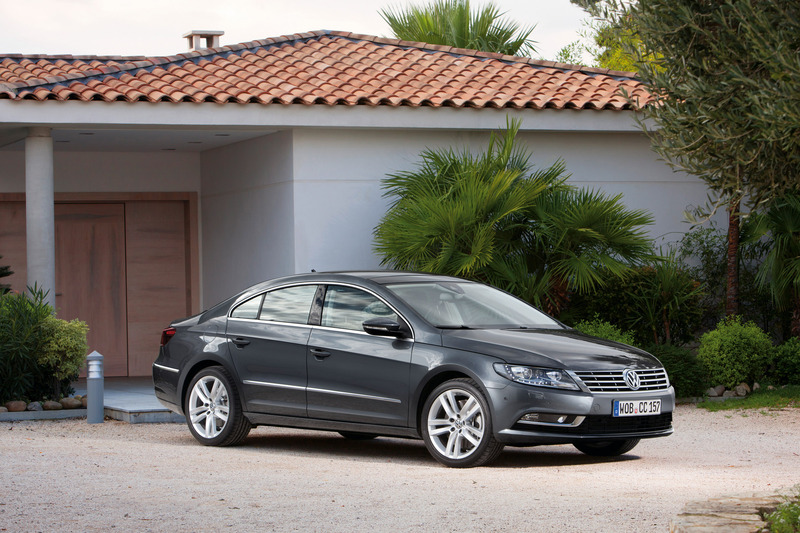 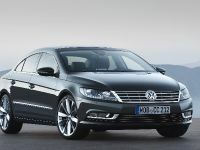 Furthermore, new assistance systems are now available on the Volkswagen CC. 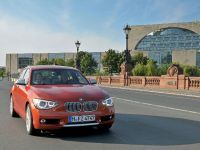 In details, they include optional technologies such as Dynamic Light Assist (automatic main beam control) and a camera based traffic sign detection system. 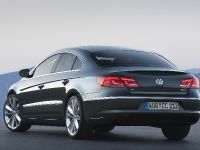 For the first time on a Volkswagen there is featured the Side Assist Plus including Lane Assist, which warns of vehicles in blind spots and supports the driver via steering intervention. 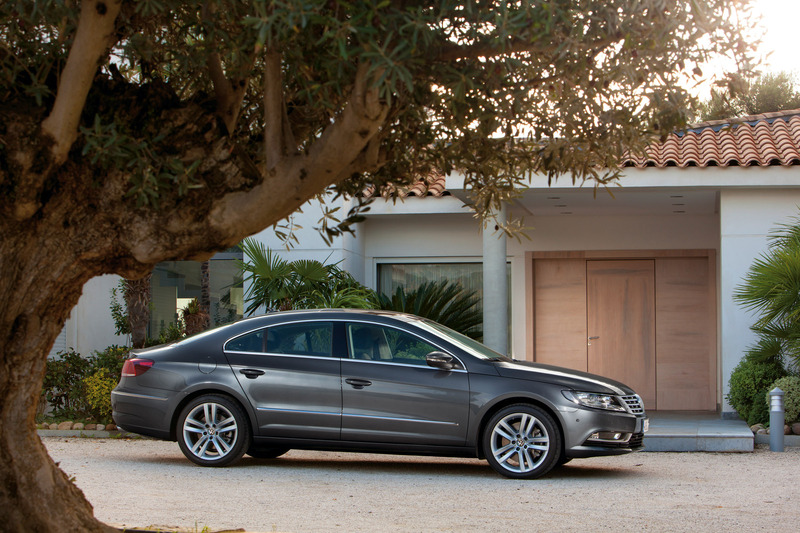 Meanwhile, the optional climate seat with integrated massage function optimizes the comfort. 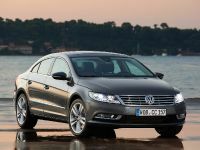 To go further into details the new 2012 Volkswagen Passat CC is going to be offered with the variety of six engine choices. 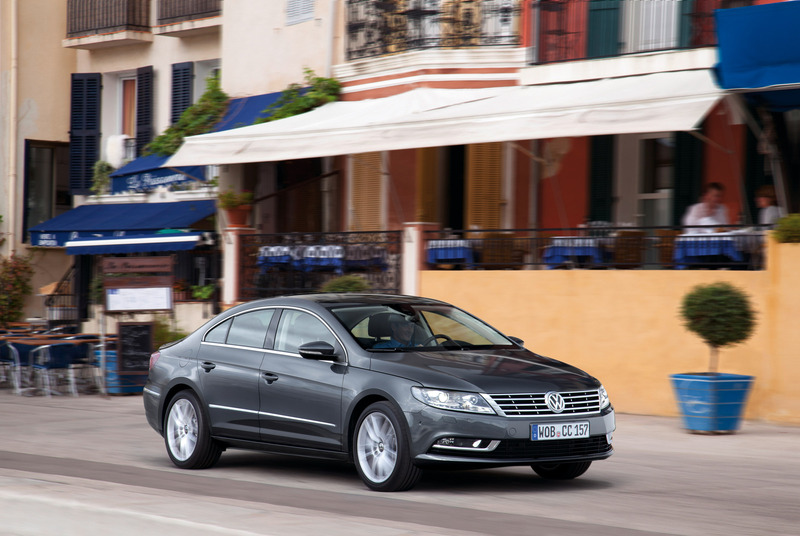 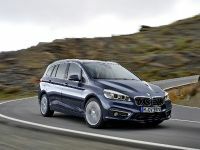 The CC will be powered by innovative petrol and diesel direct-injection engines. All of the diesels (TDI) are equipped with a Stop/Start system and battery regeneration mode (which recovers braking energy) as standard equipment. 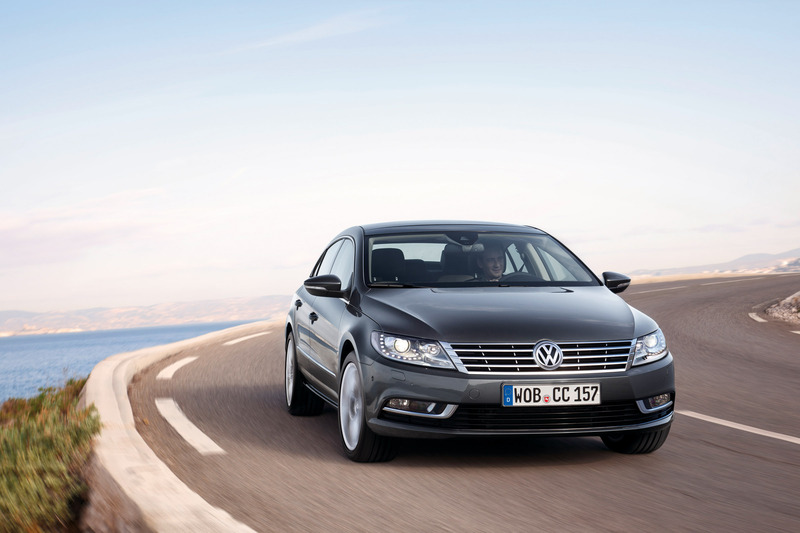 All petrol engines also have battery regeneration functionality. 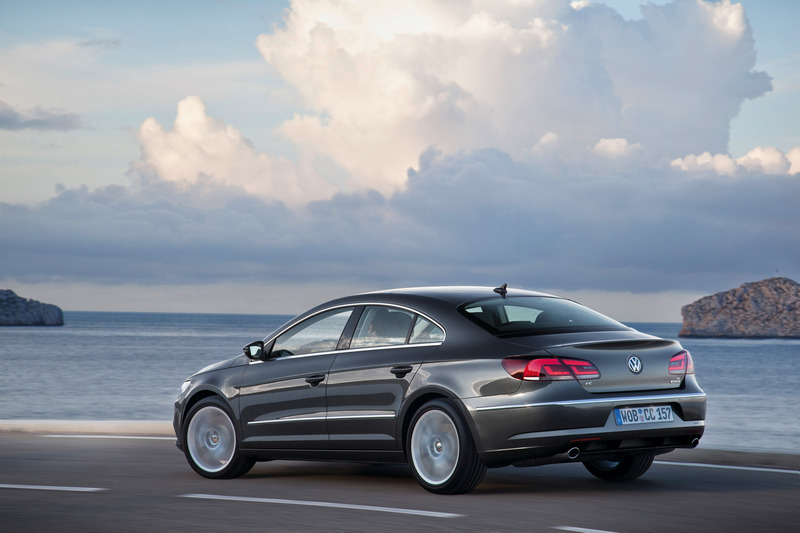 Moreover, the TDI engines have outputs of 103 kW / 140 PS and 125 kW / 170 PS. 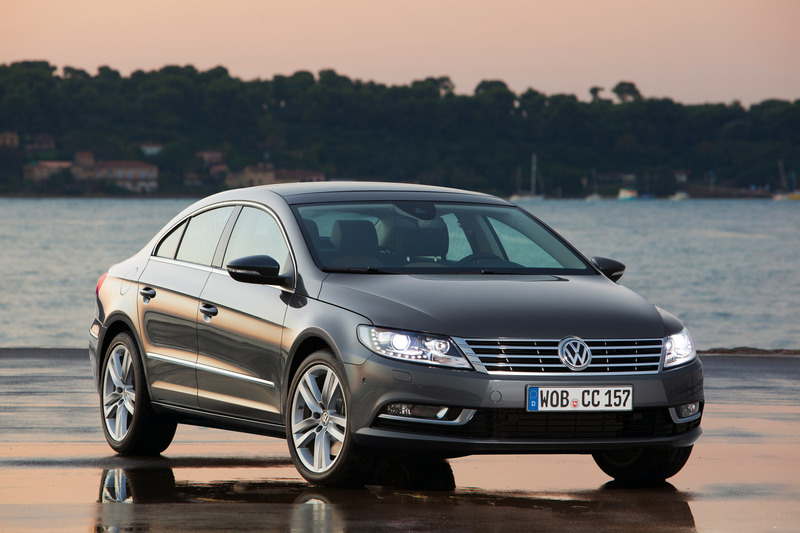 The third turbodiesel to be offered in the Volkswagen CC is a BlueTDI which also has an output of 103 kW / 140 PS. 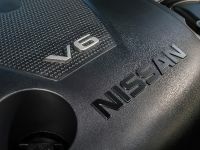 More importantly this is one of the few engines in the world that already meets the Euro-6 emissions standard. 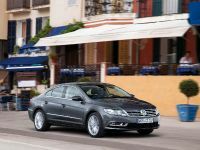 How about the petrol engines of the European CC versions? 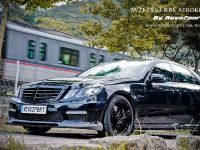 They develop an impressive 118 kW / 160 PS, 155 kW / 210 PS and 220 kW / 300 PS of power. 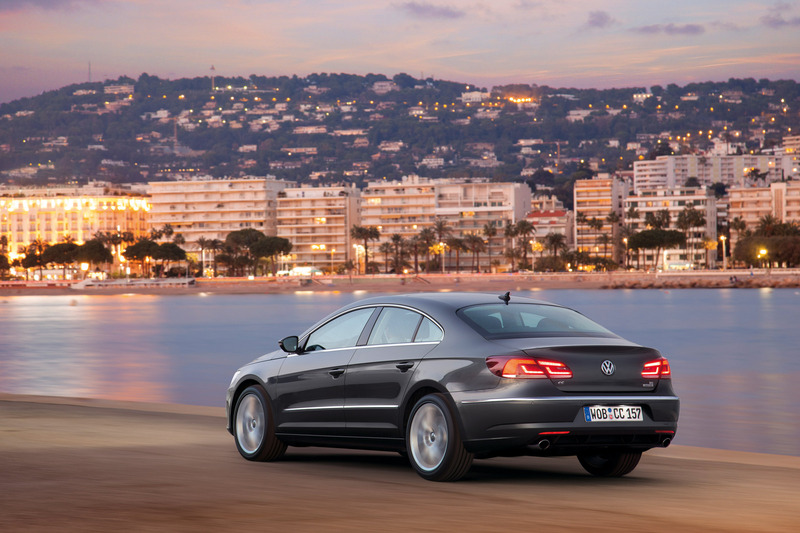 Another highlight to be mentioned is that all engines up to 210 PS may be paired with a dual clutch gearbox (DSG) as an option. 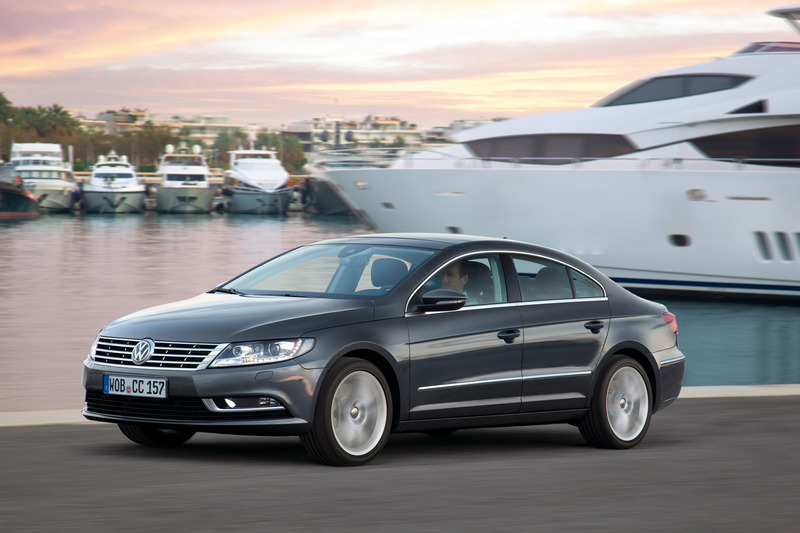 In conjunction with the 103 kW TDI (manual gearbox version) and the 125 kW TDI (DSG version), the Volkswagen CC will also be offered with the optional 4MOTION all-wheel drive at a later time. 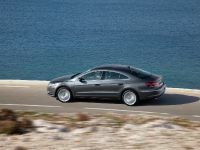 Furthermore the six-cylinder version (300 PS) will be delivered with DSG and 4MOTION all-wheel drive as standard equipment. 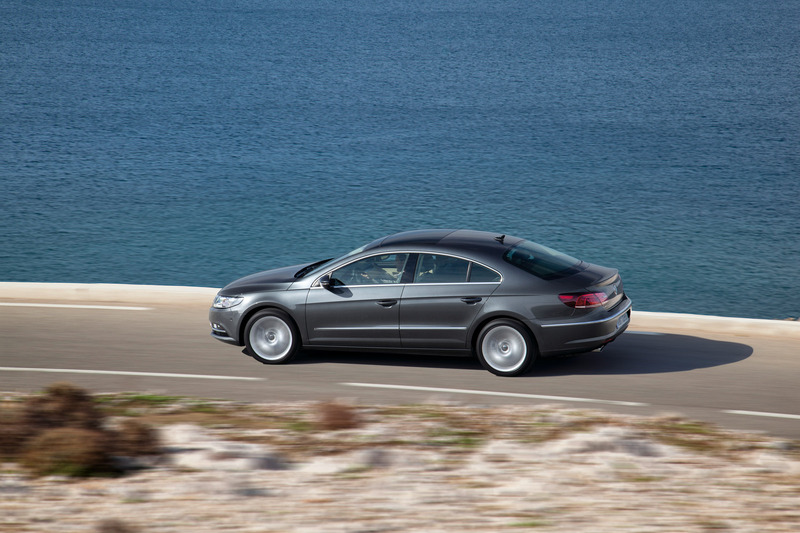 Of course, the TDI engines with DSG also have a free-wheeling function. 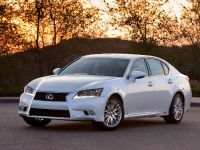 The latter function decouples the engine as soon as the driver's foot leaves the accelerator pedal. 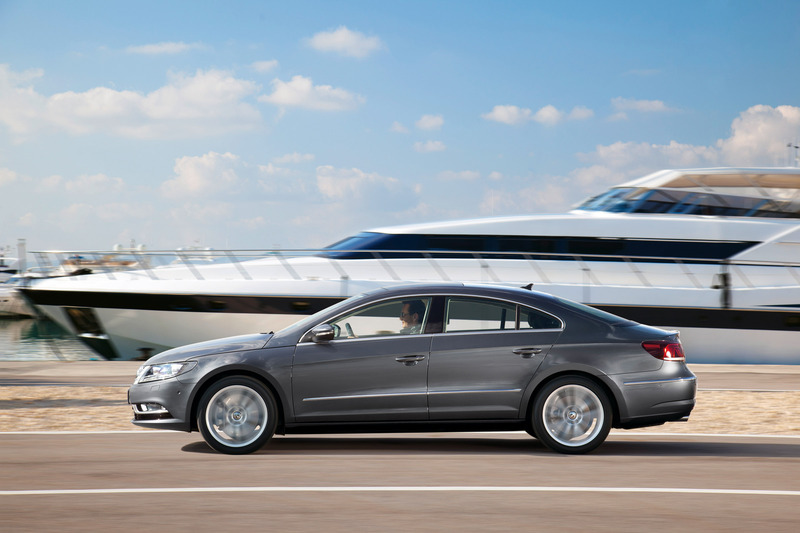 In the design of the engines, the aim of the engineers was to maximize efficiency. 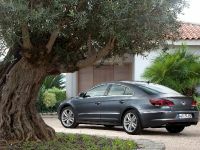 For instance take the 140 PS TDI: in the standard version with a manual 6-speed gearbox, it consumes just 4.7 l/100 km (equivalent to 125 g/km CO2). 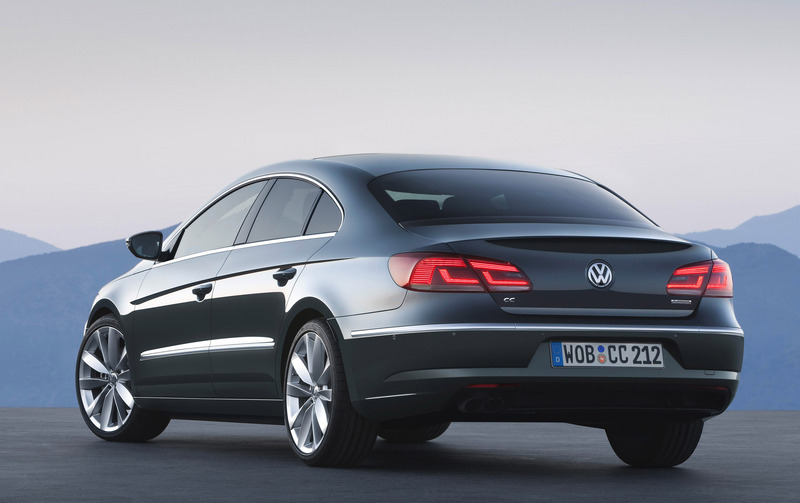 These numbers show that the vehicle consumes very little fuel for a long-range saloon that can go at 214 km/h.